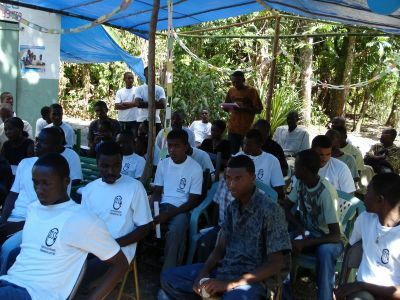 As part of the struggle for environmental, dated November 18, 2004, the organization is called : « Organisation pour la Rénovation Environnante du Sud d’Haïti (RESH) » formed in Jonc Levy, Camp-perrin. 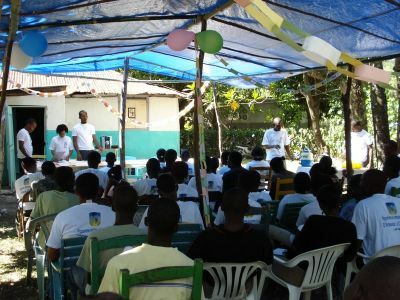 It is a non-profit organization, development aid that challenges a new future of hope, rebirth and inspiration of human values, sovereignty, moral and social consciousness of citizenship, the sole responsibility of Haiti, good governance, upgrading human capital, creating a different environment, a concrete aspect of environmental sanitation, provision for the efficient protection of the environment, respect for human rights, progress , dignity, love, meaning fair and public good research for the development of a harmonious environment within and Haitian prosperous . 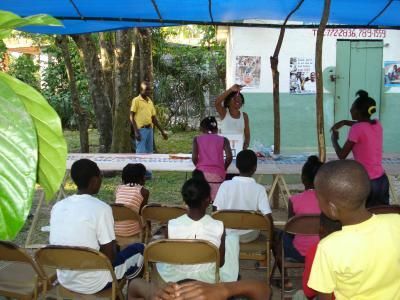 The essential purpose of the organization "RESH " is working to reduce poverty and promote environmental philosophy as a social organization, moral, educational, spiritual, economic, cultural and health.